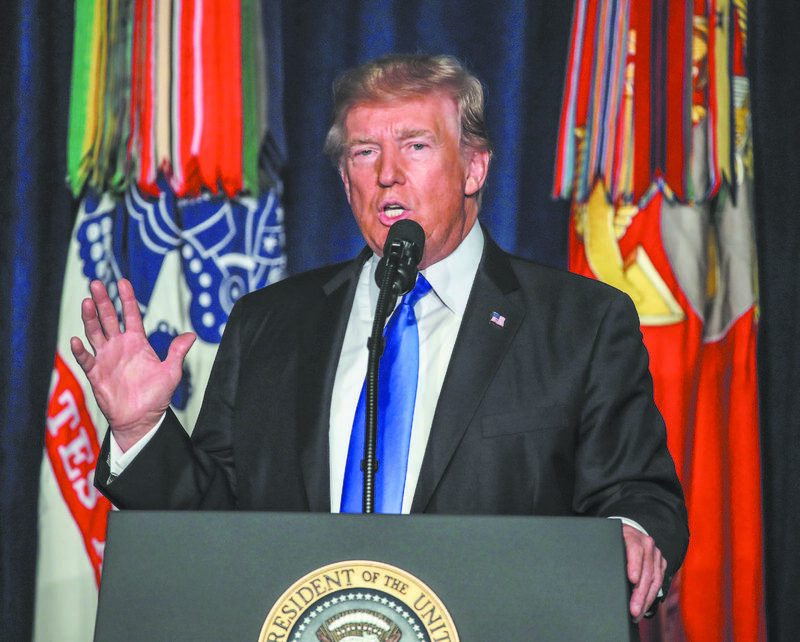 President Donald Trump said the United States is committed to winning the war in Afghanistan and preventing the same errors that were made in the withdrawal from Iraq from happening again. Speaking at Fort Myer in Virginia, Trump said that he shared the American people’s frustration with the 16-year-long war in Afghanistan—America’s longest. 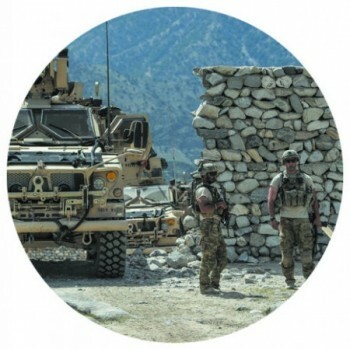 He had initially wanted to pull out of Afghanistan completely, he said, thinking that America had spent too much time trying to rebuild other nations in its image, instead of focusing on its own security. However, Trump said that after ordering a comprehensive review of all options in Afghanistan, and studying the situation in great detail, he changed his mind. 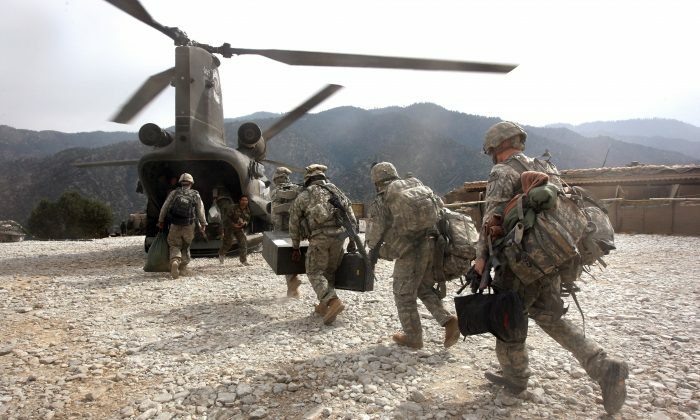 A rapid withdraw from America’s remaining troops in Afghanistan could create a vacuum that terrorist groups such as ISIS and al-Qaeda could rapidly fill, similarly to what happened in Iraq. Following the withdrawal of U.S. troops from Iraq in 2011, ISIS and other terror groups gained a foothold. “We cannot repeat in Afghanistan the mistakes our leaders made in Iraq,” Trump said. Trump also highlighted concern over the large number of terror groups currently active in Afghanistan, and its close proximity to Pakistan, which has given safe haven to such groups. “America and our partners are committed to stripping terrorists of their territory, cutting off their funding, and exposing the false allure of their evil ideology,” Trump said. Trump promised that America would work with its allies in breaking the terror groups’ will and eventually defeating them. Repeating what he said during the presidential campaign, Trump said he believes announcing timetables of troop deployment and withdrawal is counterproductive. “I will not say when we are going to attack, but attack we will,” he said. After troop levels reached their peak at around 100,000 troops in 2010 under the Obama administration, President Barack Obama sharply reduced troop levels to less than 10,000 in 2016. The reduction in troop levels was first announced by Obama in 2011. At the time, Obama said that the United States was meeting its goal of training Afghan security forces to defend their own country. 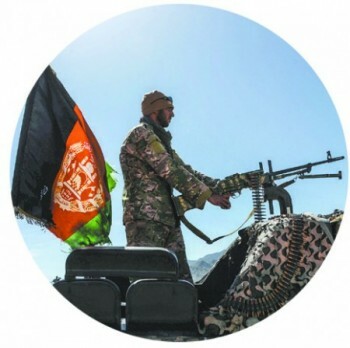 But despite years of training and billions spent, Afghan security forces have proven unable to effectively fight and push back the Taliban while still relying heavily on U.S. intelligence and combat support. Trump said that he would combine the pillars of American power—diplomatic, economic, and military—to work toward a successful outcome for Afghanistan. The president also said he would ensure that U.S. troops had the conditions to defeat the enemy. “I have already lifted restrictions the previous administration placed on our war fighters that prevented the secretary of defense and our commanders in the field from fully and swiftly waging battle against the enemy,” Trump said. In the campaign against ISIS, Trump has shown that he does not believe micromanagement from Washington wins battles. He is following the same principle with Afghanistan. In June this year, Trump had already given the secretary of defense the power to set troop levels for Afghanistan. Trump’s announcement comes following a meeting with his national security team at the Camp David presidential retreat last week. Defense Secretary James Mattis has said he was pleased with the process that the administration went through. “These troops go in harm’s way, so you have to be careful,” Mattis said last month, explaining why he had not yet used the authority to increase troop levels given to him by the president in June. In every generation, we have faced down evil, and we have always prevailed. Trump said that he plans to further expand the authority of the armed forces to target terrorists and criminal networks in Afghanistan. “Our troops will fight to win. We will fight to win. From now on, victory will have a clear definition: attacking our enemies, obliterating ISIS, crushing al-Qaeda, preventing the Taliban from taking over Afghanistan, and stopping mass terror attacks against America before they emerge,” he said. Trump said that America will work with the Afghan government and that it is not in the business of nation building anymore. “We are not asking others to change their way of life, but to pursue common goals that allow our children to live better and safer lives,” he said. Trump also urged America to unite and to defend it from enemies abroad. “In every generation, we have faced down evil, and we have always prevailed,” he said. Making reference to divisions within America, and implicitly to the violent protest that broke out in Charlottesville, Virginia, on Aug. 12, Trump called on the nation to unite. “When we open our hearts to patriotism, there is no room for prejudice, no place for bigotry, and no tolerance for hate,” he said. The war in Afghanistan has dragged on for nearly 16 years, at a cost of more than 2,400 American lives. The war began in 2001 in an effort to topple a power base of the al-Qaeda terrorist group. 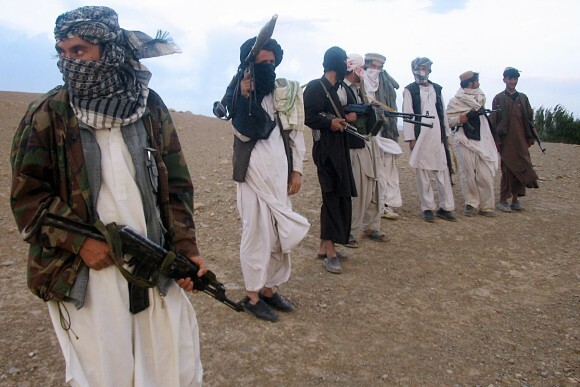 The United States and its allies have since tried to establish a democratic government in the country, which has many remote, rural areas and strong tribal divisions, while fighting the Taliban. 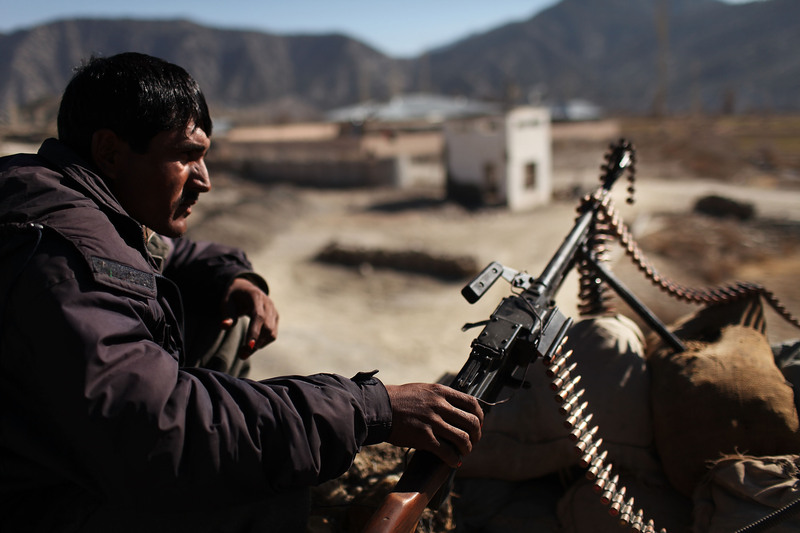 Some regions have been freed from Taliban control, only to later be retaken by the Islamist extremists—a process that has often repeated itself multiple times in a single area. Just on Aug. 14, the Taliban took control of the district of Ghormach in Badghis Province, for the third time. According to The Long War Journal, the Taliban took the district center in October 2015 before Afghan forces recaptured it a week later, and again for a short period in October 2016. So far this year, 11 U.S. troops have been killed in Afghanistan, according to icasualties.org. The highest number of casualties in a single year was 499 in 2010, with 368 deaths as a result of improvised explosive devices. Joshua Philipp contributed to this report.